What are the different post types on Bunz?  Many people are surprised to learn that Bunz is more than just a trading platform and community. Read on to learn about the different zones on Bunz and the different post types in each zone. When posting into trade there are three different post types. Use this post type when posting a physical item. For example: you post your coffee table for trade. Use this post type when posting a service. For example: you post offering Spanish lessons. Use this post when the above options don't suit your post. For example: you post that you are ISO tickets for a show.